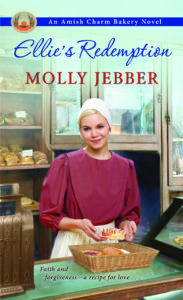 Molly Jebber writes Amish Historical Romance. Her latest release, ELLIE’S REDEMPTION, is the second book in her Amish Charm Bakery Series. Molly’s books have been featured in Publisher’s Weekly, USA Today’s HEA, and Romantic Times. Her books have received widespread media attention throughout the US. 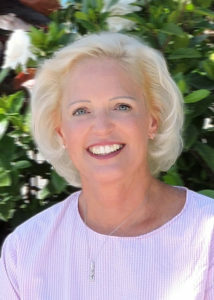 Her books are sold in print and Ebook throughout the US and United Kingdom. She’s a touring speaker for Women’s Christian Connection, other women’s organizations, and she offers presentations on writing and the Amish. She says the most rewarding part about writing stories is meeting wonderful readers who become friends through social media and at her speaking events. Please visit her website: http://www.mollyjebber.com for a full list of her books (and options stores to buy them), speaking events and recipes. Another wonderful book by Molly Jebber. This book continues with the wonderful characters of the Charm Bakery. Ellie has grown in her faith and love of the Amish life and is looking forward and not dwelling on her past mistakes. But, can her mistakes rob her of her future happiness with Joel? Ellie's family approves of their relationship but a dark cloud hangs over Joel's mom and she doesn't take to Ellie. The characters are very well developed and feel as if I know them. There are some surprises in Ellie's Redemption that I never saw coming and lots of suspense that keeps the story moving along well. I had a hard time putting it down. Everything is wrapped up nicely in the end and I look forward to the next book in the series. 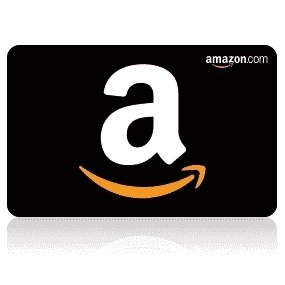 I received an ARC from the publisher and voluntarily choose to review it. Loved reading Ellie's Redemption by Molly Jebber. Thank you for being a part of the tour.